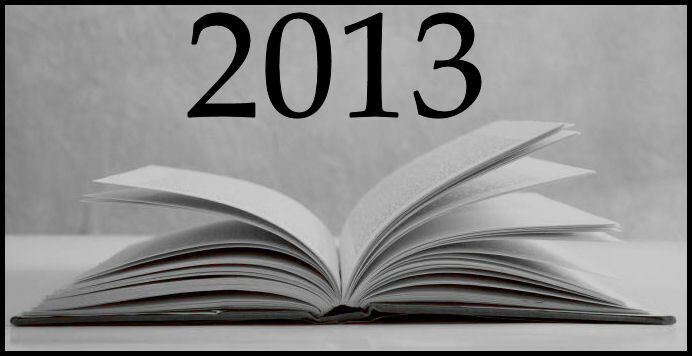 What an amazing year 2013 was for me in regards to reading! I set a new record for number of books read within one year (my database total was 270 and my Goodreads Challenge total was 285). I reread several newer books: The Fifty Shades Trilogy (9th reading), Beauty from Pain , and Surrender Your Love . I also bought and read the Kindle versions of a few books I read years ago: Slow Heat in Heaven , Where There's Smoke , It Had to Be You, and Family Blessings . I borrowed 16 titles through our library system and purchased a total of 379 books—mostly Kindle, but also audiobooks and a few signed paperbacks. Only 7 of the books were not categorized as any kind of romance, and all of those were mysteries. I meticulously reviewed my database and Goodreads shelves in selecting the favorites listed below. I arbitrarily decided upon the categories but was careful in considering which books deserved each designation. I'm all about focusing on the positive when it comes to books, but in 2013 I also ended up adding more books (8) to my did-not-finish shelf than in any previous year. Although, I hope to return to two of the books at some point. 2013 was also the year I attended my first author signing. I had hoped to go to Book Bash in Orlando last June but that wasn't possible. Instead, I was able to attend the Richmond Author Event, which was ideal in location and size for this first timer. I can't adequately express how joyful I felt being there amongst so many of "my" authors and the other passionate readers. My fingers are crossed that the event organizers plan another event for Richmond in 2014. I will be welcoming 2014 with over 100 books and audiobooks on my to-be-read shelf. Not only am I anxious to read the upcoming books I listed below, but I'm also anticipating the unexpected gems that end up on my reading device. I look forward to being in the proper mood to read some of the literature, general fiction, and non-fiction Kindle books I already have, and I very much hope to finally get that Kindle Paperwhite I've been wanting for so long. I've read nearly 700 books on my tiny iPod touch and am more than ready to graduate to a larger eReader. I'd love to know what you think, and I wish you very enjoyable reading in 2014! Exported from BookCollector on 12/30/2013 at 5:10 p.m.